The Mall Of The Emirates may be the smaller of Dubai’s two main complexes, but it’s still absolutely huge. There are shops galore here, but the most impressive sight is the indoor ski slope with real snow. There’s also a toboggan run and every so often an appearance from the penguins. The top floor of the mall is dominated by an amusement centre full of arcade games and there’s a bowling alley here too. 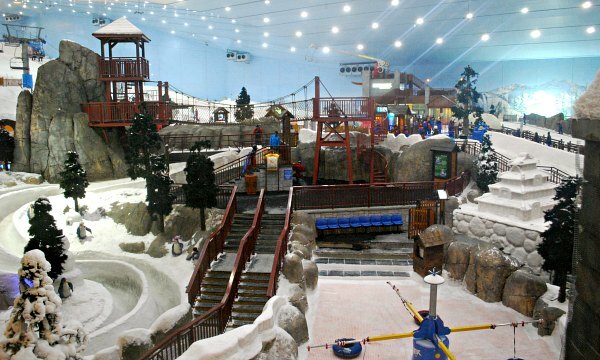 Ski Dubai is the name of the snow attraction inside the Mall of The Emirates. There are lots of cafes with viewing areas which overlook the ski slope and also a standing area for viewing when the penguins appear each day. Of course, you can pay for a number of experiences inside the attraction too. For example, the basic penguin encounter is 185 AED and the the Snowbullet ride is 160 AED each (2016 prices). 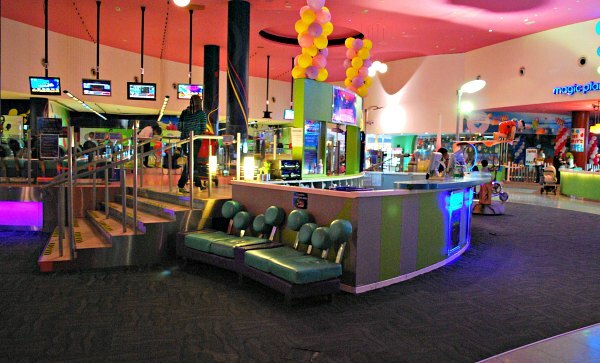 The amusement and entertainment area of the Mall of The Emirates is called Magic Planet and it’s spread over two floors. This makes it the largest indoor family entertainment centre in Dubai. Here you’ll find fun rides, games and attractions including a 10-pin bowling alley and the RoboCoaster, a 2-person thrill ride that is unique to the Middle East. 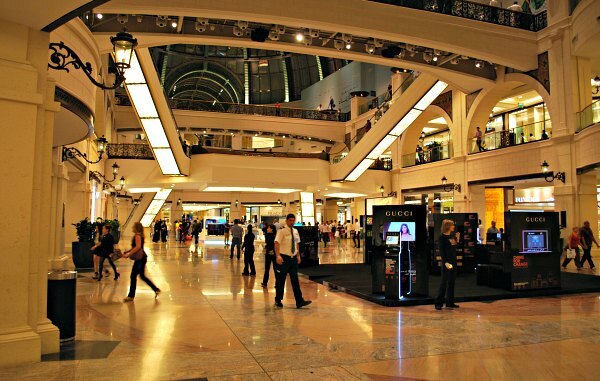 The Mall of the Emirates is packed with destination shops too like Debenhams, Harvey Nichols, Carrefour and Marks & Spencer. There are also dozens of eateries. 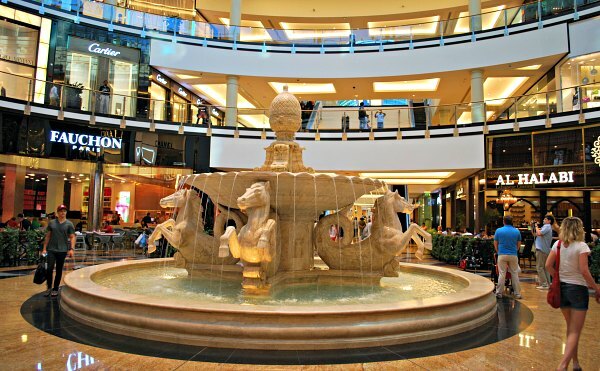 The mall is open daily from 10am, closing at 10pm from Saturday to Wednesday and 12 midnight on Thursday & Friday. Mall of the Emirates has its own stop on the Dubai Metro. The Dubai Hop-on, Hop-off Bus Tour also stops here.